Mineral Specimens. Rock, Mineral and Crystal Specimens. Mineral Dealer specializing in cabinet size fine minerals. Do You Have a Collection for Sale ? 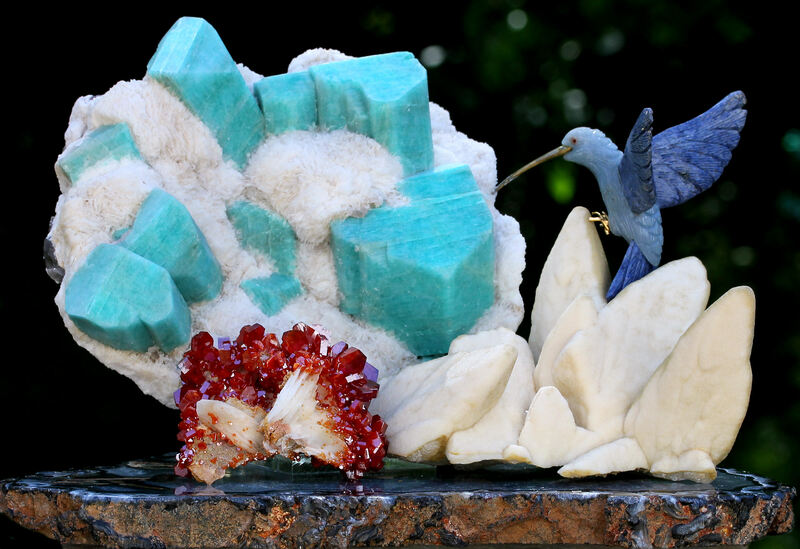 Click here for Specimens from the Dr. Edward E.
Welcome to Hummingbird Minerals - We offer fine and rare mineral specimens for Collectors and Mineral Dealers with an eye for beauty and quality at a reasonable price. Check out our great pictures of rocks and minerals.